Досліджено вплив різних рівнів аргініну у комбікормах на показники забою молодняку перепелів м’ясного напряму продуктивності. Встановлено, що згодовування перепелам віком 1–35 діб комбікорму із вмістом аргініну 1,66% сприяє збільшенню передзабійної маси на 3%, маси непатраної тушки – на 4,4%, напівпатраної тушки – на 2,6% та патраної тушки – на 2,9%. 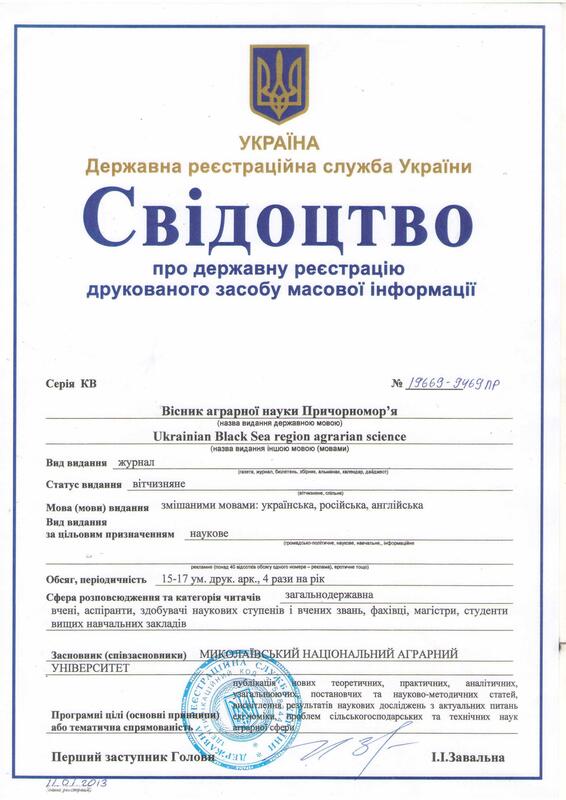 Ключові слова: перепели, амінокислоти, аргінін, комбікорм, показники забою, вихід їстівних частин, м’ясність тушки. 1. Dietary L-arginine supplementation reduces fat mass in Zucker diabetic fatty rats / [Fu W. J., Haynes T. E, Kohli R., Hu J., Shi W., Spencer T. E., Carroll R. J., Meininger C. J., Wu G. ]. – J Nutr.,2005. – № 135 (4). – P. 714-724. 2. Effects of starter diet supplementation with arginine on broiler production performance and on small intestine morphometry / [Murakami A. E, Fernandes J. I. M., Hernandes L., Santos T. C. ]. – Pesq. Vet. Bras.,2012. – vol. 32. – № 3. – 260 p.
3. Gene expression is altered in piglet small intestine by weaning and dietary glutamine supplementation / [Wang J., Chen L., Li P., Li X., Zhou H., Wang F., Li D., Yin Y., Wu G. ]. – J Nutr.,2008. – № 138 (6). – P. 1025-1032. 4. High fat feeding and dietary L-arginine supplementation differentially regulate gene expression in rat white adipose tissue / [Jobgen W., Fu J., Gao H., Li P., Stephen B. S, Spencer T. E., Wu G. ]. – Amino Acids,2009. – № 37 (1). – P. 187-198. 5. New insights into amino acid metabolism, etacell function and diabetes / [Newsholme P., Brennnan L., Rubi B., Maechler P. ]. – Clin Sci,2005. – № 108 (3). – P. 185-194. 6. Wu G. Amino acids: metabolism, functions, and nutrition / Amino Acids. – 2009. – № 37 (1). – P. 1-17. 7. Wu G. Arginine metabolism: Nitric oxide and beyond / JR S. M. Morris //J Biochem. – 1998. – № 336 (1). – P. 1-17. А. М. Омельян. Показатели убоя молодняка перепелов при использовании комбикорма с разным уровнем аргинина. Исследовано влияние различных уровней аргинина в комбикормах на показатели убоя молодняка перепелов мясного направления продуктивности. Установлено, что скармливание перепелам в возрасте 1-35 суток комбикорма с содержанием аргинина 1,66% способствует увеличению предубойной массы на 3%, массы непотрашеной тушки – на 4,4%, полупотрошеной тушки – на 2,6% и потрошеной тушки – на 2,9%. A. Omelian. Indices of the slaughter of youngsters quails and the use feed with different levels of arginine. Our attention was drawn to an important biological value of arginine. Arginine performs the role of building blocks of proteins and polypeptides, regulate key metabolic pathways that are necessary for maintenance, growth, reproduction, and immunity. Arginine is one of the most versatile amino acids in animal cells. It is required for the synthesis of several compounds, such as ornithine, polyamines (spermidine, spermine, and putrescine), proline, creatine, protein, nitric oxide, and citrulline, besides glutamate and agmatine in mammals. Arginine is also a powerful secretagogue, increasing the release of insulin, the growth hormone, and IGF-I in the blood stream. For birds this amino acid is indispensable. The basis of mixed fodders for quails lacks the arginine grain. So the introduction of its synthetic counterpart is a prerequisite for effective production of poultry meat. 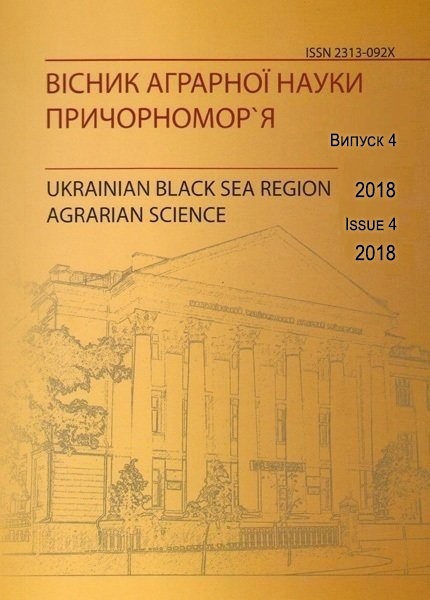 Experiments were carried out at an experimental base for problem research laboratory of feed additives at the Department animal feeding and feed technology named after P. D. Pshenychnuy of the National University of Life and Environmental Sciences of Ukraine. For this experiment, we used the breed Pharaoh. We investigated the impact of different levels of arginine in mix fodder on indicators of slaughter of youngsters quails of meat production . We found that feeding quails aged 1-35 days of feed containing 1. 66% arginine increases the quails weight before slaughter by 3%. The aim of this research is to establish the optimal level of arginine in the fodder for young quails by comparing their parameters of slaughter. The results of our investigation have practical value and can be used for work of poultry house.